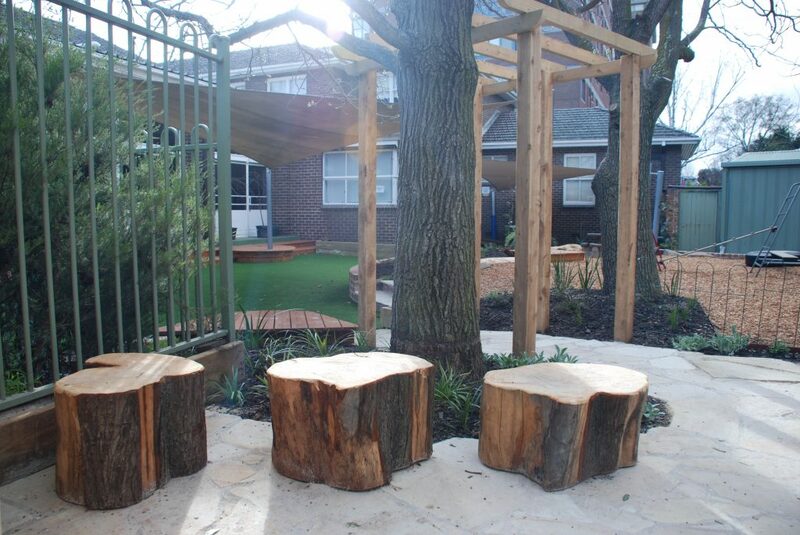 St John’s Kindergarten has a small outdoor playspace framed by established trees. 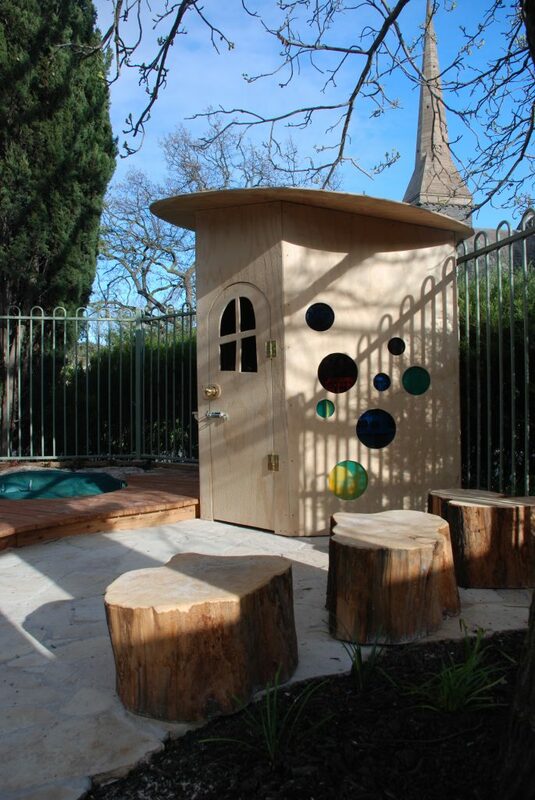 A dynamic and flexible playspace design suitable for the kindergarten’s different age groups and needs was developed in consultation with kindergarten staff. 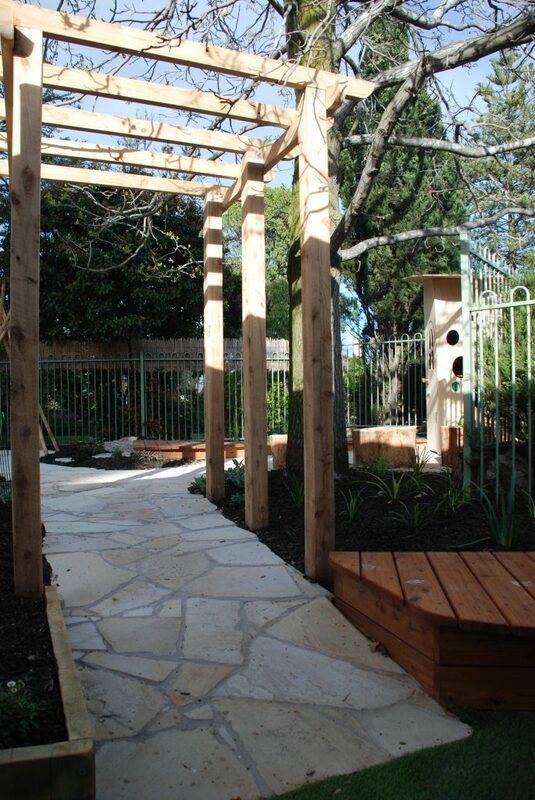 The Jeavons Team were able to achieve a design that not only preserved, but enhanced the landscape character of the play space by framing exiting features such as large shade trees and an antique light pole. 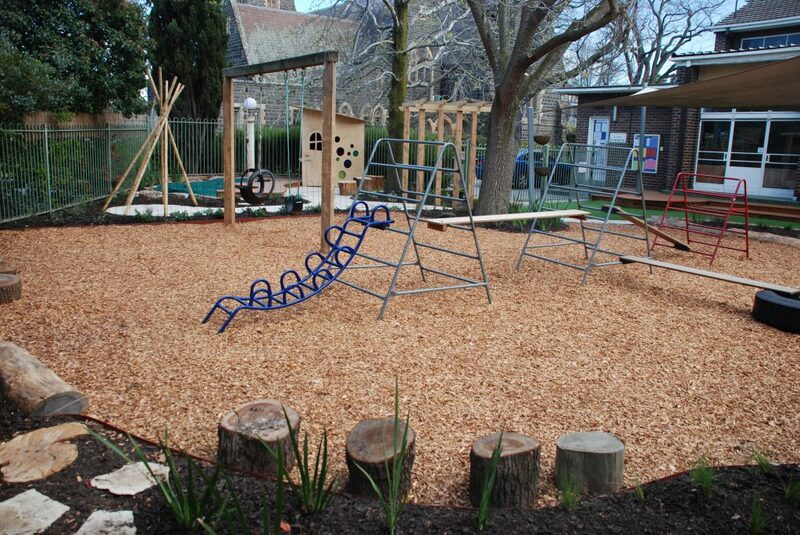 The new play space addresses existing circulation and grading issues, creating a smooth, fluid play space as well as providing more intimate play opportunities. 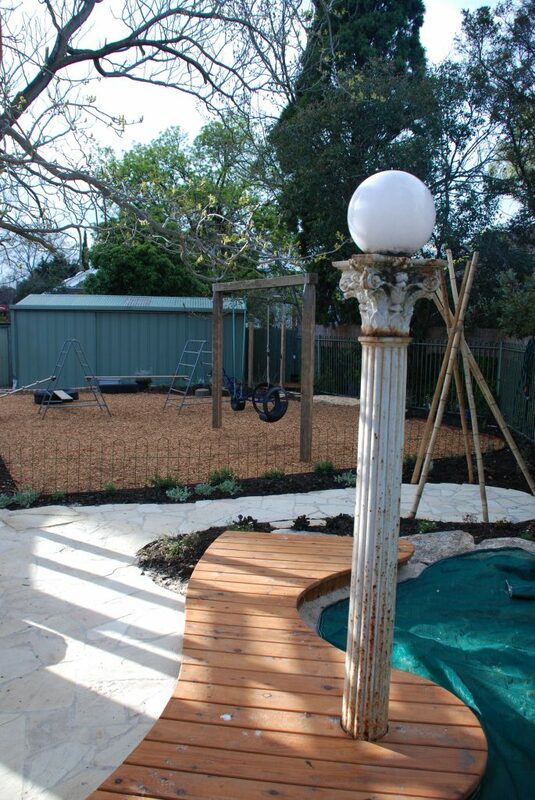 Play features such as sand play area, a dry creek bed and digging patch re-invigorates this play space. 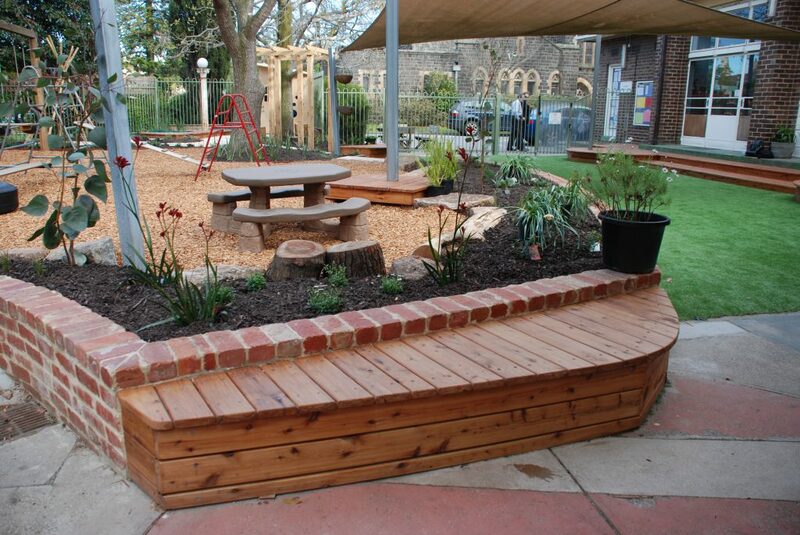 The clever use of planting highlight the play space, creating ‘soft borders’ and a sense of privacy and enclosure from the surrounding landscape. The ‘open’ nature of this site also means that staff have an optimal view across the whole site and ensure harmonious and safe play.